The two known populations are presumably small. The lack of recent herbarium collections is possibly an artifact and cannot be taken as direct evidence on population trends. This species is known from 10 to 12 herbarium collections only, all but one from the location in Malaysia (de Laubenfels pers. comm., 2006). A shrub or small tree of moist montane scrub. Locally dominant in some areas. Elevation based on herbarium specimens is1590 to 1830 metres above sea-level. Possible habitat degradation through fire. 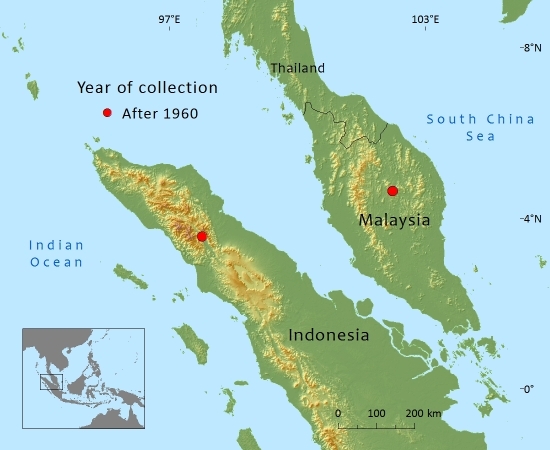 The known collections were recorded from the Taman Negara (Malaysia) and Gunung Leuser Reserves. Chua, L. et al. (1997). Completed data collection forms for endemic trees of Peninsular Malaysia. Farjon, A. et al. (1998). Data collection forms for conifer species completed by the IUCN/SSC Conifer Specialist Group between 1996 and 1998. 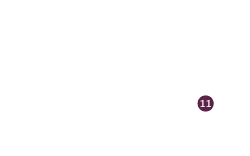 Farjon, A., Page, C.N. and Schellevis, N. (1993). A preliminary world list of threatened conifer taxa. Biodiversity and Conservation 2: 304-326. Hilton-Taylor, C. (2000). 2000 IUCN Red List of Threatened Species. IUCN, Gland, Switzerland and Cambridge, UK. Ng, F.S.P., Low, C.M. and Sanah, M.A.N. 1990. Endemic trees of the Malay Peninsula. Forestry Department, Kuala Lumpur. Oldfield, S., Lusty, C. and MacKinven, A. (compilers). 1998. The World List of Threatened Trees. World Conservation Press, Cambridge, UK. 2015. Podocarpus deflexus, from the website, Threatened Conifers of The World (http://threatenedconifers.rbge.org.uk/taxa/details/959).